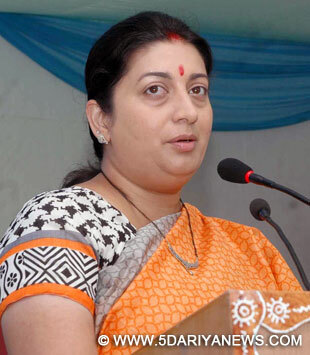 Union HRD Minister Smriti Irani on Friday made it clear that autonomy of the Indian Institute of Managements (IIMs) will not be compromised under the proposed IIM draft bill. "For the first time, the IIMs were asked to prepare the draft of the bill themselves. The bill was later put in the public domain inviting suggestions from all stakeholders," she told media persons after a meeting with Indian Institute of Management (Bangalore) chairman Kiran Mazumdar. Irani also said the IIMs were not aware of the fact that the under the new bill the president of India will their visitor and it was believed that all the high-level appointments at the IIMs would be approved by the president. Shaw said: "I am extremely glad that the government has addressed all our concerns in the new bill with regard to autonomy of IIMs." "Other IIMs having almost similar concerns must be happy with the new bill," she told media persons.Shaw also tweeted: "Had a fruitful mtg with @HRDMinistry to discuss n resolve issues around autonomy n accountability of IIM Bill - I'm satisfied @smritiirani."V.S. Oberoi, secretary, higher education in the HRD ministry, said: "The government will ensure that the character of IIMs as the institute of national importance will be maintained and there will be no compromise on their autonomy. "The bill is likely to be tabled in parliament in the next session.